Shari Dunn joined CBS 58 in February of 2009 as the co-anchor of the Morning News Express and a host of Racine and Me. Shari is happy to be home in Milwaukee, where she was born and raised. A graduate of Nicolet High School and Marquette University Shari really is a hometown girl. Her interest in news has been life long but her life has been extremely varied. Shari has a law degree from Northwestern University School of Law and practiced law here in Wisconsin, representing victims of domestic violence. While practicing law Shari interned at WISC-TV in Madison, WI and hosted a community affairs show, Inside/Outside Milwaukee on the WVTV-18. Shari has lived in Washington, DC, New York, NY Los Angeles California, Guadalajara Mexico and London. She has worked as a lobbyist on the Hill in D.C. and ran a national non-profit in New York. She began her segue into news full-time by working as a legal commentator for programs such as the former Court-TV and Celebrity Justice. Shari was also a freelance reporter for KCET-TV Los Angeles on the awarding winning California Connected where she covered such topics as school reform. 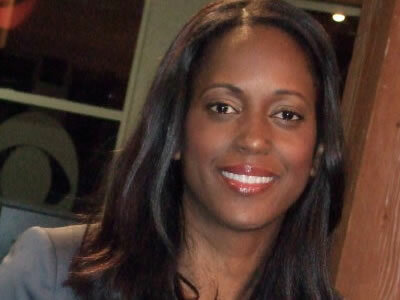 Shari was also a special correspondent for the Oprah Winfrey show and has worked red carpet events in Los Angeles. Shari comes to CBS 58 from Tyler Texas where she was the main anchor for 5 and 10 pm at the local NBC affiliate. While in Tyler, Shari covered a variety of stories from, hurricanes to identity theft to securing an exclusive interview with a woman who was shot five times by her husband at work, and lived to tell the tell. The Texas Associated Press honored Shari for her spot news reporting. Shari has many interests including, working with women and children, empowering victims of domestic violence and the arts. In her spare time she likes to cook, work out, sing and spend time with her best buddy her mini-pin Princess D.
Shari comes to CBS 58 from Tyler Texas where she was the main anchor for 5 and 10 pm at the local NBC affiliate. While in Tyler Shari covered a variety of stories from, hurricanes to identity theft to securing an exclusive interview with a woman who was shot five times by her husband at work, and lived to tell the tell. The Texas Associated Press for honored Shari for her spot news reporting.